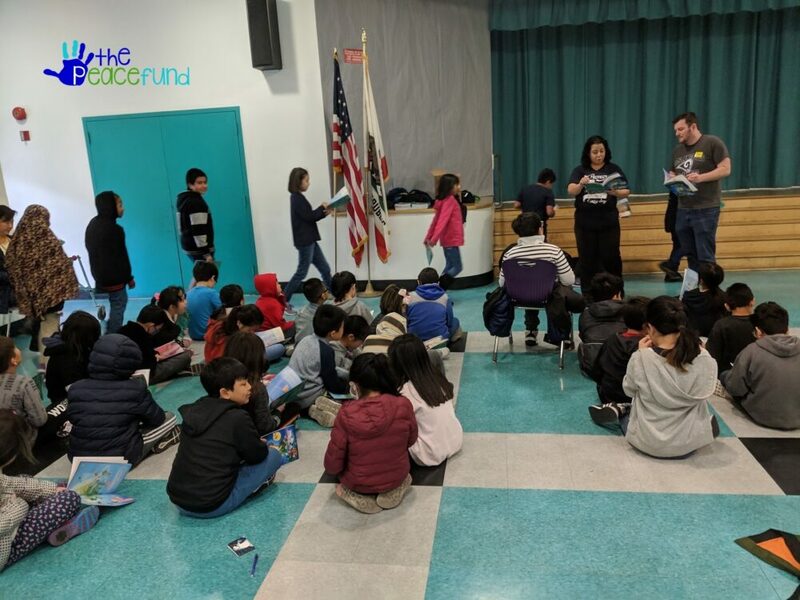 On March 9, The Peace Fund’s Kids Read to Lead visited Cahuenga Elementary School in Koreatown. Adin Rudd, an anime and voice actor, and teacher Kathryn Venable, brought Peter Pan to life for 60 students in the 2nd – 5th grade classes, including 12 special education students. The kids all loved it and seemed energized and excited for the experience. Books were provided for the students to take home.